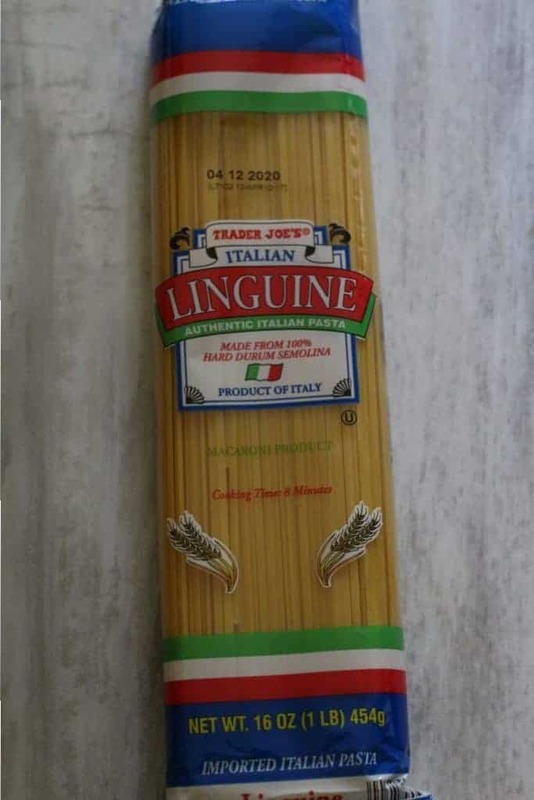 The pros: Trader Joe’s Italian Linguine is well priced but otherwise completely average pasta. The cons: The plastic bag saves space but can also lead to more breakage. The verdict: I wish I can say there was a method to the madness of what gets reviewed. There really isn’t. Sometimes, it just whatever happens to be for dinner. I’ve gone through a bunch of the dry pastas. Mostly of different shapes. Some were just different colors. So far, nothing stands out. Perhaps, that isn’t a bad thing when pasta is priced at less than $1. Let’s face it, in most other grocery stores (I’m near NYC so things are a bit more expensive) pasta that is about a dollar is basically pasta that is on sale. For $0.99, this is basic durum semolina pasta. Nothing noteworthy. Nothing special. The cooking time is accurate as listed. My biggest complaint here is not about the product itself, but the packaging choice. I don’t know about you, but I have a shelf in one of my cabinets devoted to pasta. It’s my adult equivalent to Tetris. It’s a careful game of removing, stacking, and attempting to leave no empty spaces. This packaging seems less than ideal. Unlike the boxed stuff at other grocery stores, most of Trader Joe’s comes in plastic. Not good for stacking. Even worse if you only use half the product and try to reseal something that is not meant to be resealed. Overall, in terms of taste this seems like every other semolina boxed pasta I’ve tried. In terms of packaging, I missed this being resealable. This is nothing to make a special trip for, but if you need pasta it is a reliable option. 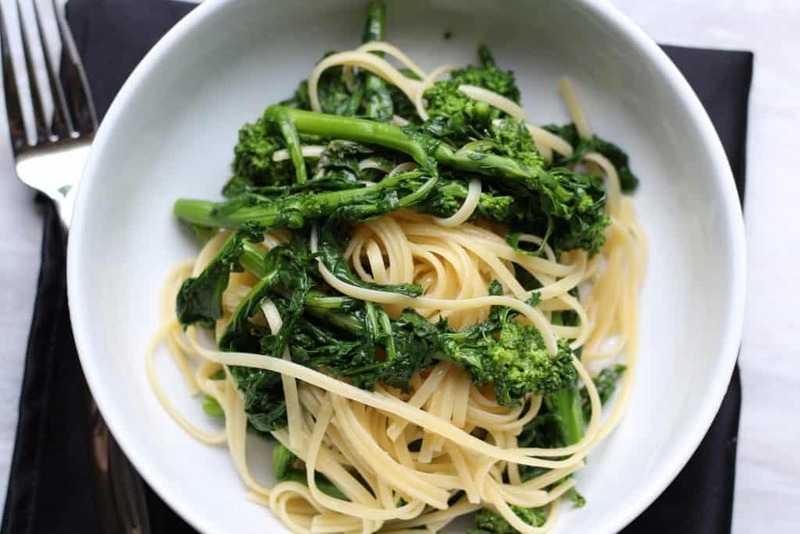 Mixed with some broccoli rabe and oil. Would I buy this again? 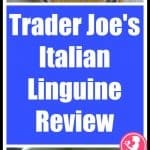 Trader Joe’s Italian Linguine is a take it or leave it type of item. There is nothing standout about it. It’s a good basic staple to have around the house, but nothing worth making a special trip for. I’ve used many of their pastas, and you’re right; nothing special. Pasta is pretty much just pasta to me. As for storing it . . . how about standing them up, or laying them down, in a plastic shoe box? I keep about twenty packages of various shapes of pastas/noodles on hand all the time, and have them in a Rubbermaid container. Hey Judie! I couldn’t agree more. The ones that are special are so expensive or they are refrigerated. All great suggestions. I do keep plastic container that keeps all the air and moisture out. Anyways, thank you for your wisdom and stopping by to share your thoughts. Wishing you a wonderful 2018! The regular pasta is totally fine, nothing especially distinctive about it. I actually now buy the red lentil pasta most often, i don’t eat much pasta in general because somehow it doesn’t keep me full for very long (unless i add a bunch of other ingredients) but i really like the red lentil pasta- after adding some red sauce and veggies it’s hard to tell the difference but it has enough more protein and fiber it keep me full longer. Hey Ttrockwood! I actually have not tried any of the black bean or red lentil pastas yet. The gluten free pasta in the refrigerated aisle is very good. I have the same hungry problem after eating pasta too. Anyways, I’ll add that to my list of things I need to try and review. Hope 2018 treats you well.